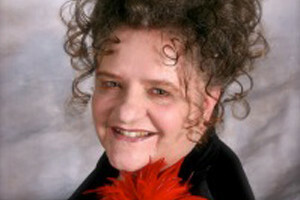 CAROL CLEMANS – Life Enrichment Ministries » Is the devil robbing your joy? Is the devil robbing your joy? God, our great Creator and Savior, knows the power of thoughts and words. We function by thoughts that create our feelings and then we usually act on how we feel. When life’s circumstances are tough, it is so easy to focus on the negative aspects of the events of our lives. It is the devil’s delight to drag us into his depths of despair through negative toxic thinking. God, in the flesh as Jesus Christ, had his own personal encounter with Satan. Jesus used the ‘sword of the spirit’ that is the Word of God to defeat the devil’s temptations. When we dwell on the negative, it is like speaking a death sentence to our dreams and goals in life spiritually and naturally (our brain even turns black). When we choose to think and speak positively, we are speaking life into our spirit and our mind (our brain lights up and builds new connectors – Ref: Dr. Caroline Leaf). Our physical body responds to our thoughts and words either for healthiness or for sickness of mind, body, and soul. Our thoughts and words not only impact our lives but also the lives of those around us. Our family, friends, neighbors, fellow employees, etc., are ‘reading us’ as open books. All of us have the power of influence. Are we reflecting the glory of God to others ‘in our body and spirit which belong to God’ – 1 Cor. 6: 18 – 20? In every circumstance of life, we must choose to meditate on the true, noble, just, pure, lovely, good, virtuous and praiseworthy things! We must ask self, “What is God’s truth about my life?” God says, “Rebuke the devil and he will flee from you!” Make a choice to focus on God’s blessings. Give Him thanks in all things! What do you ponder in your heart? Ponder (verb) ‘she had time to ponder over the incident: think about, contemplate, consider, review, reflect on, mull over, meditate on, muse on, deliberate about, cogitate on, dwell on, brood on, ruminate on, chew over, puzzle over, turn over in one’s mind, overthink’. As we choose to thank God for His blessings, He gives us strength one day at a time to love Him and serve Him in all circumstances. Faith is being strong in the middle of the storms of life. Continue to believe God for things you cannot see. Never give up! Meditate on God’s Word! God never takes our choice away in our thoughts, feelings or actions (words). But we must take our thoughts captive to the surrender of God’s Word! Look to the Word of God for the answers in your life. When we grow in God’s wisdom, we will be able to endure anything in life looking unto Jesus! We can experience the joy of the Lord even in our adversity! © Carol Clemans –www.carolclemans.org – Bible teacher for churches/conferences. 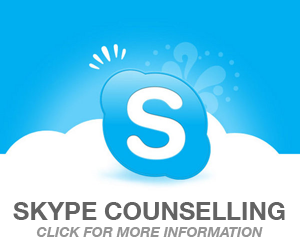 As Certified Pastoral Counselor, provides nationwide confidential counseling by phone/Facetime/Facebook video/Skype (636) 448-0121. 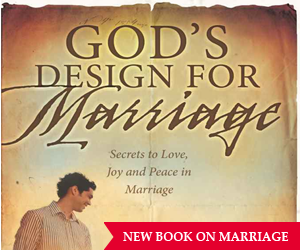 Shop for teaching CD’s, DVD’s, book: God’s Design for Marriage. Watch teaching videos on Carol Clemans Youtube channel. Read the ‘about ministry’ page for details of counseling and teaching. Ref: Pastor Daniel Batchelor, Dupo, IL.